I saw a centaur this weekend…and other news. I sent out a new email newsletter on Friday with more details about summer projects! If you missed it, click here to read it online. And since I already suffer from a mild case of multiple personality disorder in the social media spheres, I thought why not just keep on rolling? I now have a “Robyn Hendrix Art” facebook page. There’s a link in the sidebar, or you can just, you know, click here. I went to some openings Friday night. Checked out the new All My Relations gallery, then to XYandZ, then a pride festival art showing at Hennes Art Gallery, where I saw and had a rather awkward conversation with local art scenester Scott Seekins. The next day I was telling a friend about it and accidentally called him Scott Stulen. Whoops. Wrong twin cities art personality, ha! Guess I’m still a little sleep deprived from another crazy busy week. By the way, on his facebook page Scott Seekins is for some reason categorized as an athlete so on my facebook profile he shows up as my one and only “sports” interest. Amusing. 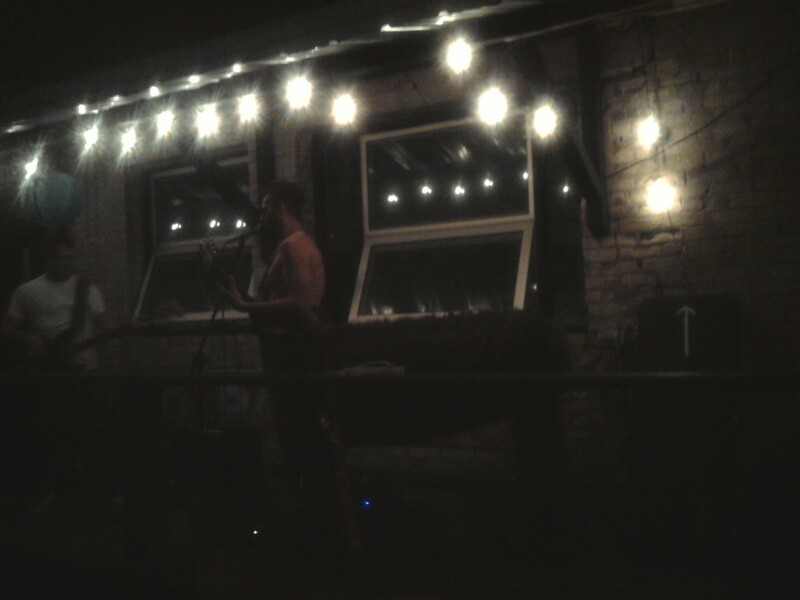 Then in the alley behind Nick & Eddie’s, we saw a guitar player in a centaur costume. Hot.